Sciatica is a pain which radiates along the path of sciatic nerve. This nerve is branched at your lower back and goes through hips, buttocks, down each leg. Sciatica nerve pain typically affects only one side of the body. Here's everything you need to know. Sciatica is a pain which radiates along the path of sciatic nerve. This nerve is branched at your lower back and goes through hips, buttocks, down each leg. Sciatica nerve pain typically affects only one side of the body. This condition most commonly occurs when a herniated disk or narrowing of the spine or bone spur on the spine compresses a part of the nerve. This results in inflammation, numbness in the affected leg and pain. Pain associated with sciatica can range from mild to severe. Most cases of sciatica nerve pain resolve with the help of non-operative treatments in a few weeks. People suffering from severe sciatica are likely to experience weakness in the leg or bowel. In case you experience bladder changes, you might need surgery. It is a kind of nerve pain that radiates from your lower back into the back and side of legs. An improvement in your lifestyle and some stretching exercises can help you deal with it effectively. 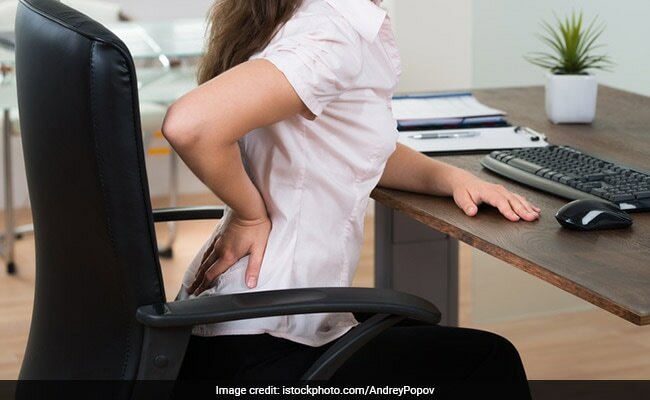 Back pain is common among people in desk jobs or those who are physically inactive and don't exercise regularly. 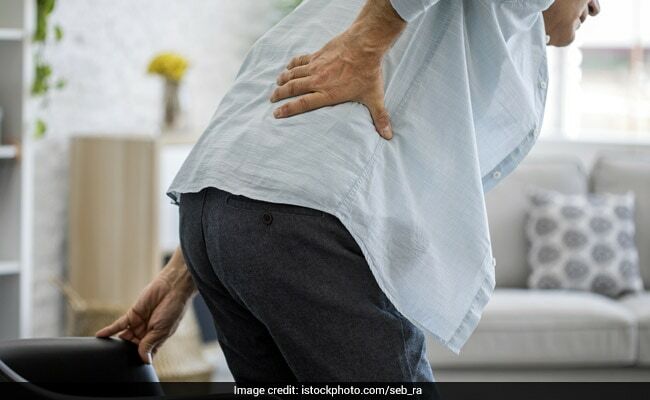 Read here to know some unknown causes of back pain. A common symptom of sciatica nerve pain is a pain which radiates from lower spine to your buttock, down the back of your leg. The discomfort may be felt almost any part of the body which falls on the pathway of sciatica nerve. The most common path is that which starts from lower back to your buttock and the back of your thigh and calf. Severity of the pain can way from mild ache to a sharp and burning sensation. Sometimes, sciatica nerve pain can be excruciating as well. It may feel like a severe shock or a jolt. The pain feels worse when you cough or sneeze. Sciatica nerve pain can aggravate on sitting for prolonged periods of time. In most cases, only one side of the body will be affected by the body. Other symptoms of sciatica include tingling or weakness in muscles in the affected leg or foot, and numbness. Often, pain might be experienced in one part of the leg and numbness in the other. Sciatica occurs on pinching of sciatic nerve. This pinch usually occurs because of herniated disk in your spine or because of an overgrowth of bone or bone spur in your vertebrae. In more rare cases, the sciatic nerve can be compressed by a tumor or be damage because of diseases like diabetes. 1. Obesity: Excess body weight increases the stress on spine and contribute to spinal changes which can trigger sciatica. 2. Occupation: People in jobs which require back twisting, carrying heavy loads, etc, too often are at risk of sciatica. 3. Age: Age-related changes in the spine such as bone spurs are the most common cause of sciatica. 4. Diabetes: Diabetes can increase your risk of nerve damage. 5. 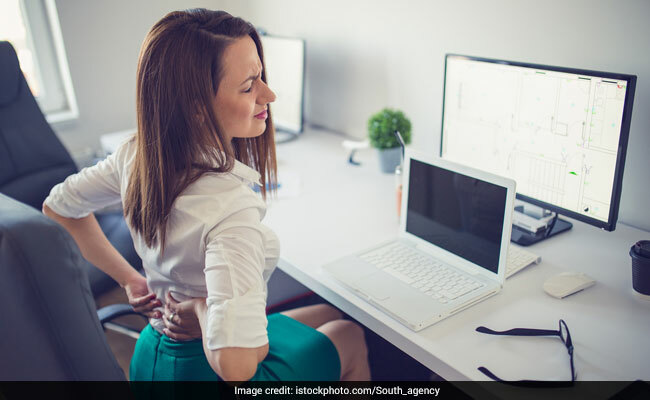 Prolonged sitting: People who sit for prolonged periods of time or live a sedentary lifestyle are at higher risk of developing sciatica as compared to those who live an active lifestyle. Complications of sciatica are such that most people can never fully recover from it, without getting a proper treatment. Sciatica has the potential to cause permanent damage to the nerve. In case you feel weakness in the affected leg, loss of feeling in the affected neck of loss of bowel or bladder function, you need to seek medical assistance. While it may not always be possible to prevent sciatica and the condition may recur at any point of time, you can take a few preventive measures. 1. Exercise regularly: Exercising regularly helps in keeping your back strong. People with sciatica should pay special attention to core muscles - which include the muscles in your abdomen and lower back. These muscles are important for proper posture and alignment. 2. Try and maintain proper posture while sitting: This is quite important for people who have sciatica. Make sure you sit on a seat which gives good support to your lower back, has proper armrests and a swivel base. In order to maintain normal curve, consider putting a pillow or a rolled towel behind your lower back. Also try and keep your knees and hips at one level. 3. 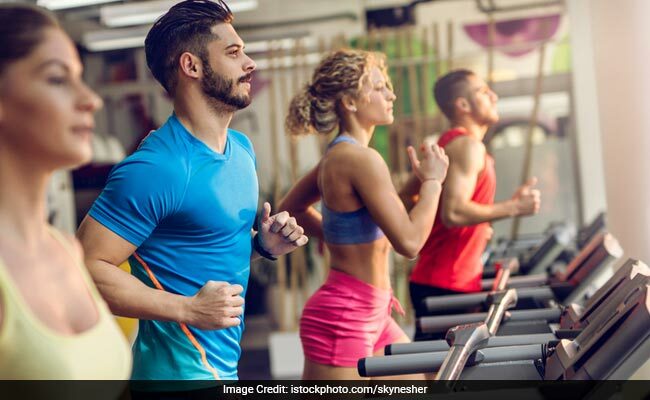 Use good body mechanics: A few techniques of good body mechanics can reduce the chances of aggravating sciatic nerve. For instance, you can try resting one foot on a stool or box from time to time in case you have to stand for long periods of time regularly. While lifting heavy objects, engage your lower body more. Bend while keeping your back straight and bend only at knees. Hold the load close to your body and avoid lifting and twisting simultaneously. Take help in the object you're lifting is too heavy. Mild sciatica goes away with time. You can take some self-care measures, but if they fail, call your doctor for help. However, you need to visit the doctor in case you experience sudden and severe pain or numbness in your lower back or leg. Also, you need to see a doctor in case the pain triggers after an injury or an accident. Visit your doctor immediately in case you find trouble in controlling your bowels and bladder.